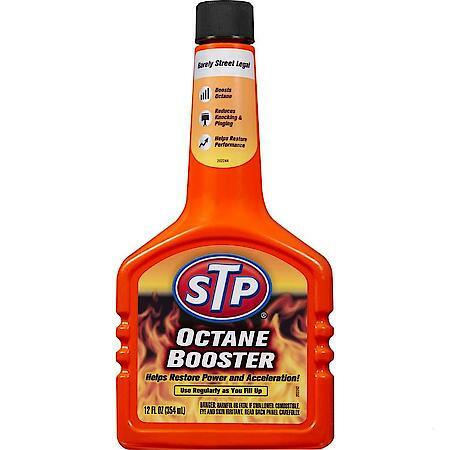 STP Octane Booster helps restore horsepower by removing deposits and cleaning the fuel intake system. This two-in-one formula boosts octane and cleans the fuel intake system to restore lost performance. Reduces knocking & ping. Helps restore performance. Usage Frequency: Use regularly when you fill up your tank. Treat Rate: 12 fl oz bottle treats up to 28 gallons of gasoline.